March 26, 2019, 1:40 PM · In an effort to promote the coverage of live violin performance, Violinist.com each week presents links to reviews of notable concerts and recitals around the world. Christian Tetzlaff performed Mozart Violin Concerto No. 3 with the San Francisco Symphony in Washington. Washington Post: "Christian Tetzlaff...played with golden radiance, sounding almost all the time like the distilled essence of Mozart except when he accelerated slightly jerkily in some of the fast passages. I often found myself with a smile on my face; I will readily confess that of all the chestnuts in the repertoire, these are two I happen to enjoy. Yet I was also left wondering: What exactly is the San Francisco Symphony trying to show?" Washington Classical Review: "The second movement stood out, more serenely paced and with Tetzlaff’s anxious vibrato creating a bittersweet, nostalgic quality. The violinist played cadenzas throughout of his own creation, which were a highlight, especially in the slow movement, featuring the whisper of Mozart’s quiet melodies over wispy double-stopped chords." Timothy Chooi performed Bruch's Violin Concerto No. 1 with the Allentown Symphony Orchestra. The Morning Call: "Chooi’s stunning performance of Bruch on Sunday’s afternoon concert was as romantic and passionate as any of the Bard’s love stories, star-crossed or otherwise. Chooi literally leaned into this piece, playing with a sense of urgency yet always with a flowing, liquid sense of musical line. So silken was his tone, that notes appeared like magic, with never a trace of graininess." Cellist Andrew Shulman premiered James Newton Howard's Concerto for Cello and Orchestra with the Los Angeles Chamber Orchestra. San Francisco Classical Voice: "The ebullience of Mozart gave way to the inwardly reflective, emotionally somber atmosphere of Newton’s work, which received a resonant performance by Andrew Shulman, LACO’s principal cellist." Elena Urioste performed the Barber Violin Concerto with the Santa Rosa Symphony. San Francisco Classical Voice: "The slow second movement proved to be Urioste’s salvation. She entered with a beguiling pianissimo, followed by a dramatic crescendo. Her vibrato was warm and convincing, and her tone, particularly on the lower strings, was sumptuous. She sustained the intensity through seamless bowing and a sincere expression of feeling." 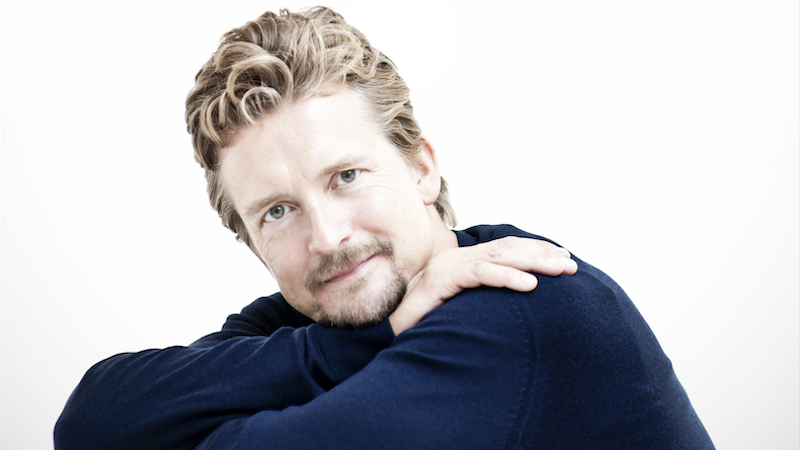 Christian Tetzlaff performed the Mendelssohn's Violin Concerto in E Minor with the San Francisco Symphony, in Boston. The Boston Musical Intelligencer: (Boston performance) "This performance was flawless in every sense. In the midst of numerous passages of double stops and arpeggiated chords, Tetzlaff always made the melodic line clear. This clarity, and the incredibly sensitive dynamic control of the orchestra made for a great tenderness in the interpretation without being overly sentimental." Boston Globe: "As one might have expected from the perpetually vivacious Tilson Thomas — conductor, composer, educator, and founder of the touted orchestral-musician incubator that is Florida’s New World Symphony — nothing about the concert felt like farewell. Rather, much of it felt like music as usual, not necessarily a good thing." Simone Porter performed Saint-Saens Violin Concerto No. 3 with the Spokane Symphony. The Spokesman-Review: "If you wish to know what Simone Porter can do on the violin, the answer is simple: whatever she wants. An utterly perfect technique allows her to take on passages of the most hair-raising difficulty with complete poise and relaxation. Her right-arm technique, in particular, enables her to achieve quicksilver changes in color, and to spin out long legato phrases without the hint of a break." Jennifer Frautschi performed the Beethoven Violin Concerto with the Rhode Island Philharmonic. Cranston Herald: "(Conductor Francisco) Noya and Frautschi worked together flawlessly to make the work come alive, emphasizing the intricate solos."